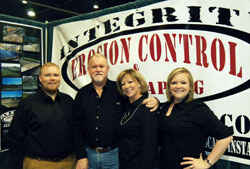 Integrity Erosion Control & Landscaping was established in May of 2007 by Janice Johnson and son, Joe Johnson. 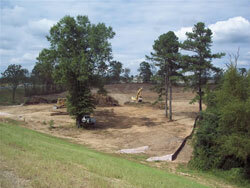 The company is committed to providing effective solutions to solve water problems and control erosion. We are proud to be a Self-Certified Woman-Owned Business serving Hot Springs, Little Rock, Fayetteville, El Dorado, Conway, West Memphis and all surrounding areas. Integrity is the product of Janice’s many years of small business management and Joe’s unmatched knowledge of onsite erosion control and vegetation establishment. Joe lived and worked in Southwest Florida where he gained invaluable experience working on projects for the Florida Department of Transportation. Having developed an aptitude and invested interest in Erosion Control, Joe brought his expertise to Hot Springs to fill the local void in the industry. Integrity Erosion Control & Landscaping continues to thrive thanks to proven results and satisfied clients. Joe was interviewed on the proper procedures of installing a silt fence. Click here to read the full article on installing a silt fence in "Erosion Control Magazine", the Journal for Erosion and Sediment Control Professionals.